I like embracing my lazy side on Sundays, so when I felt like getting crafty last night I racked my brain for the most chilled out DIY I knew. 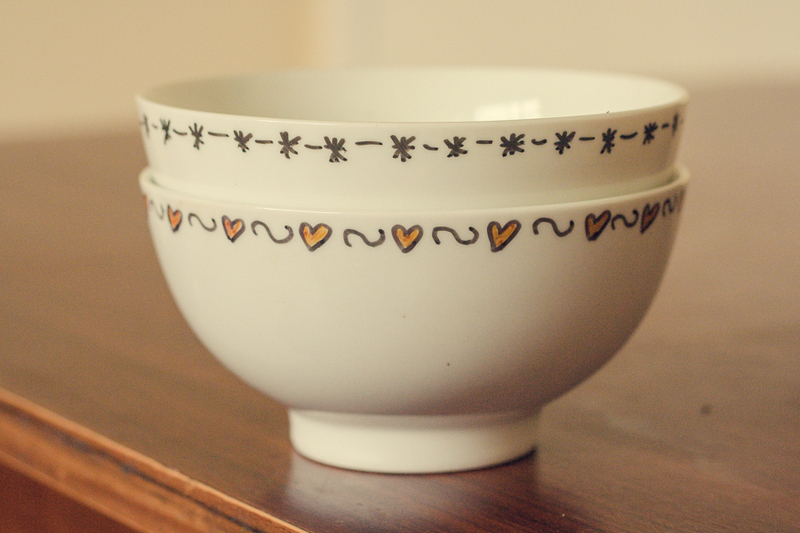 And what's easier then simply doodling on a bowl with a Sharpie, and then popping the result in the oven? I got these bowls for free with Uncle Ben's rice a while ago (I'm such a sucker for a freebie), so I wasn't worried about messing around with them. 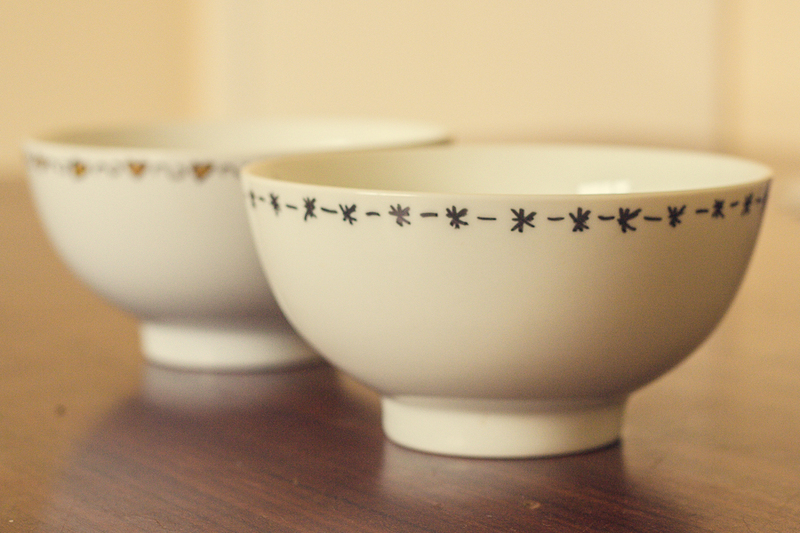 I decided to keep them simple, so I drew a little pattern around the rim of each bowl and left it at that. After completing the design I simply put them in the oven for 30 mins at 180°C, and it baked on and stay put. The hearts were supposed to be red, but as you can see the colour Sharpies are a tad unpredictable, and they actually ended up yellow! I got this idea off A Beautiful Mess. 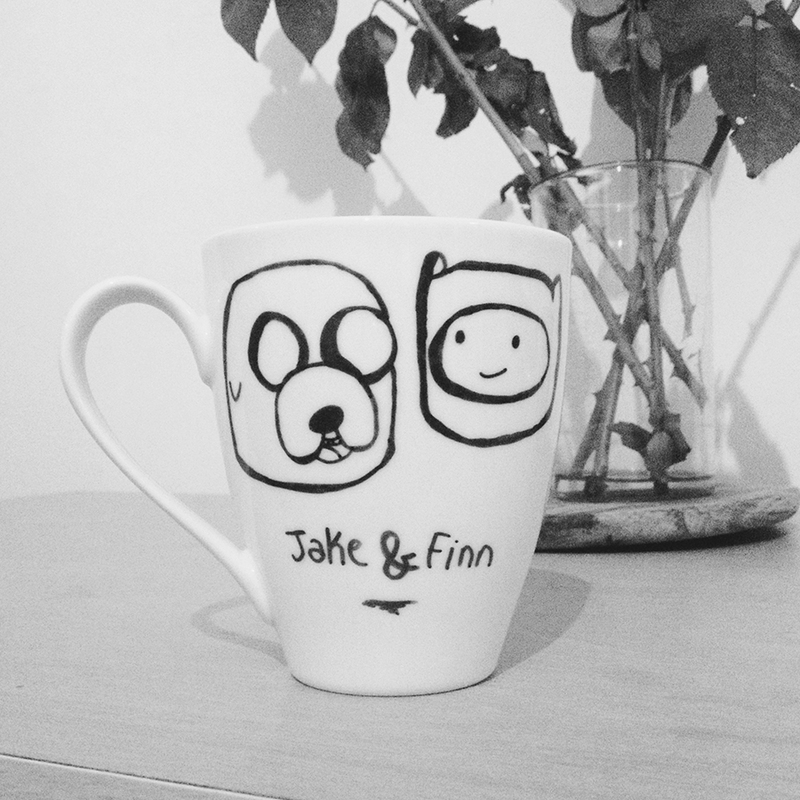 A while ago they blogged about revamping plain mugs using a Sharpie. The first time I tried out this DIY I made an Adventure Time mug, which I gifted to my brother for his birthday. I've been told that it's been holding up well, as long as you stick to handwashing your creation should stay in place. 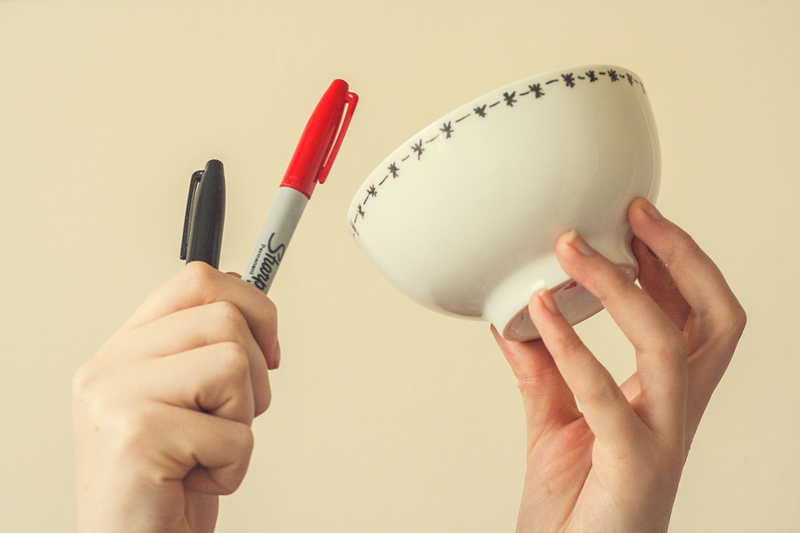 As you can tell, Sharpie mugs are so ridiculously easy that even the biggest DIY-phobe could do it. Of course, it helps that the only supplies you need are a Sharpie, a mug or bowl and a working oven! Have you tried out any super simple DIYs recently? Please do share! I want to try this DIY out! I've seen the Sharpie-d mug DIY, but I love the idea of decorating a set of cheap bowls or plates and gifting them over the holidays. As a matter of fact, that might be exactly what I do this season :) ...or maybe just decorate myself a set. I love what you came up with! So cool! Going to try this out too! Such a cute, clever and simple idea. I love it! I've read about this DIY before but haven't tried it out...yet. I think it'd make a great Christmas gift! such a cute idea! 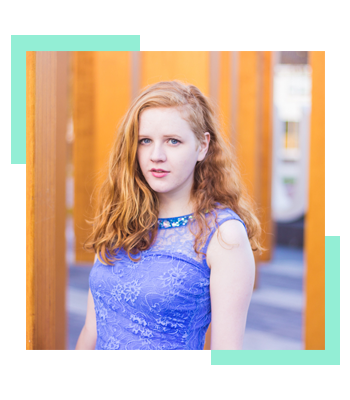 Want to follow each other on bloglovin? Let me know!